Think of English folk music today and what comes to mind is Seth Lakeman, Laura Marling, Mumford & Sons, perhaps even Noah and the Whale or the Bombay Bicycle Club. The seeds of the English folk music revival were, however, sown much earlier, by the composer Ralph Vaughan Williams, over a century ago. He was the central figure in the English musical renaissance of the first half of the twentieth century. His interest in folk-song, the tradition of amateur music making and the works of Byrd and Purcell enabled him to escape from the European romantic inheritance of his predecessors and create a new and personal style, which created the conditions in which others could do the same. Although he was born in Gloucestershire, Vaughan Williams had Welsh blood in his veins, and this strong Celtic heritage is perhaps what first attracted him to the body of British myth and folklore in which he retained an abiding interest throughout his life. He even makes a fictionalized cameo appearance in perhaps the finest British fantasy novel of the last quarter of a century, Robert Holdstock’s Lavondyss. Here he encounters the young protagonist Tallis Keeton during her formative years and appears in typical song-collecting mode. Such an episode would have been very much in character for the real Vaughan Williams, who was an inveterate raconteur and collector of songs as stories throughout his life. In this sense Vaughan Williams has made as much of a contribution to the rediscovery and preservation of the English folk tradition as Holdstock, Tolkien or any other prose artist that this land has ever produced. Vaughan Williams studied at Trinity College, Cambridge, and in London at the Royal College of Music, under two principal figures of the late 19th century renaissance of English music, Sir Charles Stanford and Sir Hubert Parry. About 1903 he began to collect folk songs, and then became editor of The English Hymnal, in which he included many folk song arrangements as hymn tunes, and several of his own original compositions. His studies of English folk song and his interest in English music of the Tudor period fertilized his talent, enabling him to incorporate modal elements and rhythmic freedom into a musical style at once highly personal and deeply English. His symphonies cover a vast expressive range. His three Norfolk Rhapsodies were the first works to show his assimilation of folk song contours into a distinctive melodic and harmonic style, while The Pilgrim’s Progress and Job, a masque for dancing, reflect his serious mystical side. He composed many songs of great beauty, including On Wenlock Edge to poems of A E Housman and Five Mystical Songs to poems of George Herbert. Particularly notable are Toward the Unknown Region, among his choral works, and Fantasia on a Theme by Thomas Tallis, among his orchestral works (readers of Holdstock will spot the clear influences on Lavondyss from the names of these pieces alone). Vaughan Williams’ music has often been said to be characteristically English, in the same way as that of Gustav Holst, Frederick Delius, George Butterworth, and William Walton. In Albion: The Origins of the English Imagination, Peter Ackroyd writes, “If that Englishness in music can be encapsulated in words at all, those words would probably be: ostensibly familiar and commonplace, yet deep and mystical as well as lyrical, melodic, melancholic, and nostalgic yet timeless.” Ackroyd quotes music critic John Alexander Fuller Maitland, whose distinctions included editing the second edition of the Grove Dictionary of Music and Musicians in the years just before 1911, as having observed that in Vaughan Williams’ style “one is never quite sure whether one is listening to something very old or very new.” His style expresses a deep regard for and fascination with folk tunes, the variations upon which can convey the listener from the down-to-earth (which he always tried to remain in his daily life) to the ethereal. Simultaneously the music shows patriotism toward England in the subtlest form, engendered by a feeling for ancient landscapes and for a person’s small yet not entirely insignificant place within them. His earlier works sometimes show the influence of Maurice Ravel, his teacher for three months in Paris in 1908 (although Ravel described Vaughan Williams as the only one of his pupils who did not write music like Ravel). Perhaps the greatest achievement of Vaughan Williams was that he broke the ties with continental Europe that for two centuries through Handel, Mendelssohn, and lesser German composers, had made Britain virtually a musical province of Germany. 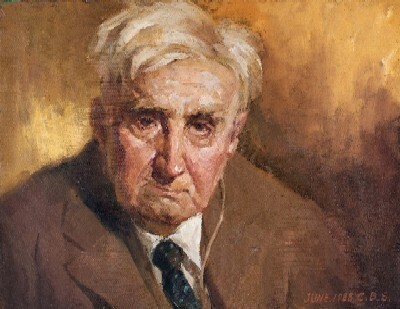 Although his predecessors in the English musical renaissance, such as Edward Elgar, remained within the continental tradition, Vaughan Williams turned to folk song as a wellspring of native musical style. It was in 1904 that he discovered English folk songs and carols, which were fast becoming extinct because the oral tradition through which they existed was being undermined by an increase in literacy and the availability of printed music in rural areas. He travelled the countryside, transcribing and preserving many himself. Later, he incorporated some songs and melodies into his own music, being fascinated by the beauty of the music and its anonymous history in the working lives of ordinary people. His efforts did much to raise appreciation of traditional English folk song and melody. Later in his life he served as president of the English Folk Dance and Song Society, which, in recognition of his early and important work in this field, named its Vaughan Williams Memorial Library after him. After World War One – in which he fought – Vaughan Williams’ idiom became established and unmistakable.